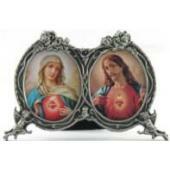 How to Say the Rosary Prayer. 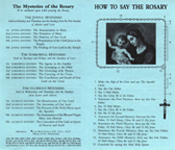 How to Say the Rosary Prayer Leaflet with the Joyful, Sorrowful and Glorious Mysteries of Fatima; the prayers of the Rosary , and "how to" say the Rosary. Sold in packs of 100. No. 1157.